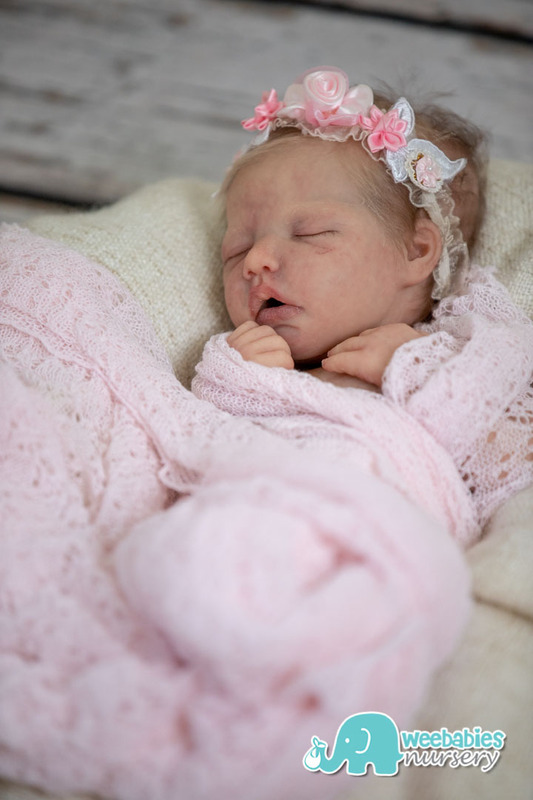 Baby Ella is the most amazing, lifelike doll I have ever seen. 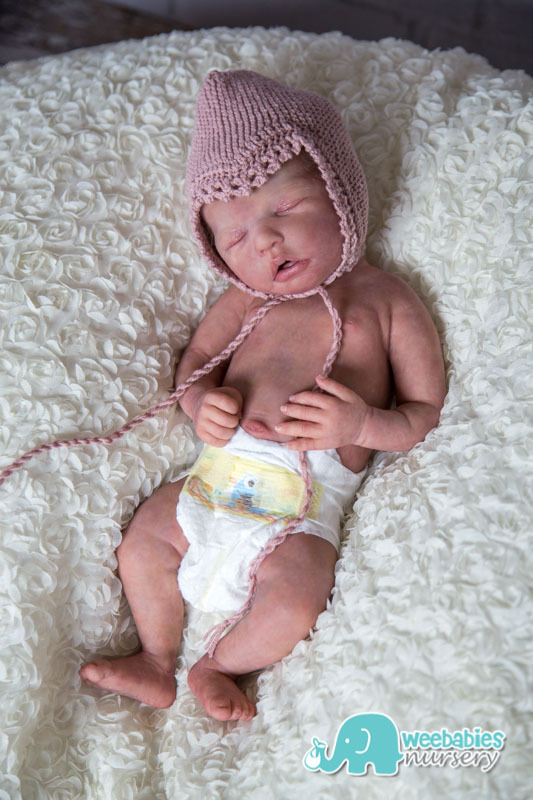 She is painted beautifully with not a single detail of a newborn baby overlooked! 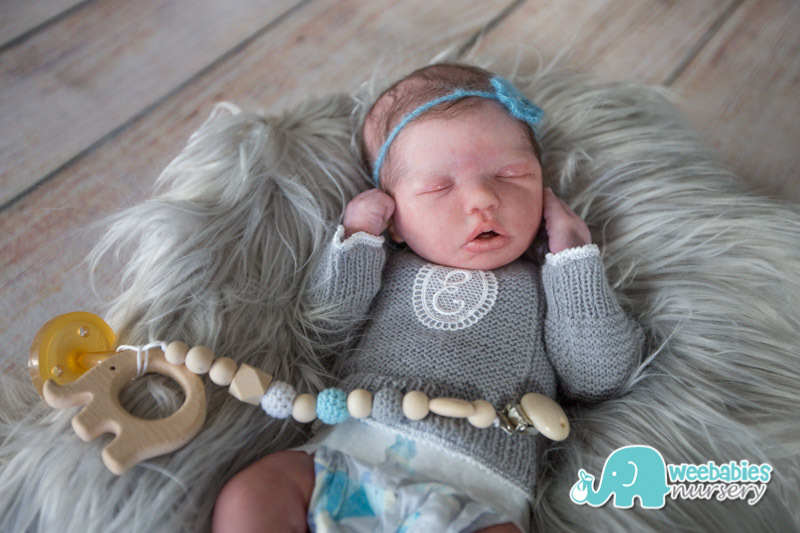 I have Ella #2 and she’s truly a dream baby. 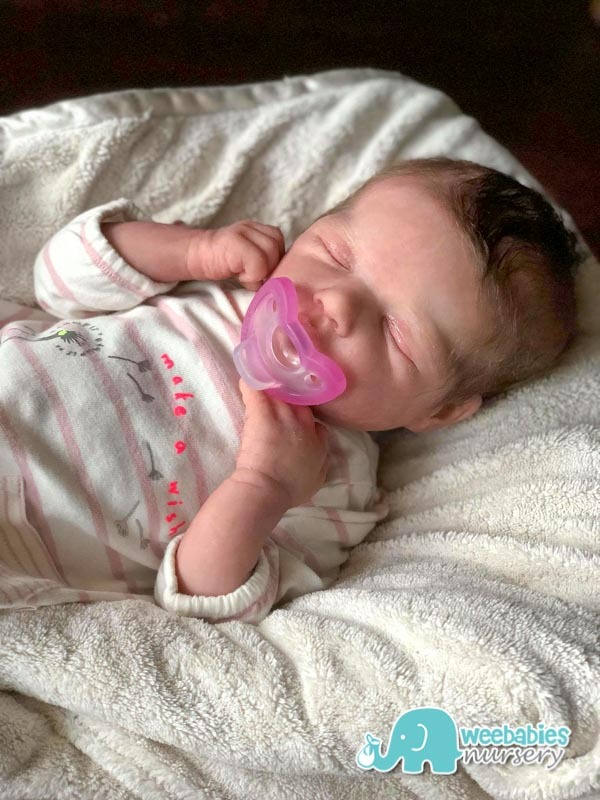 Her realism is off the charts, if you are looking for a silicone baby, Ella is definitely one you don’t want to miss out on! 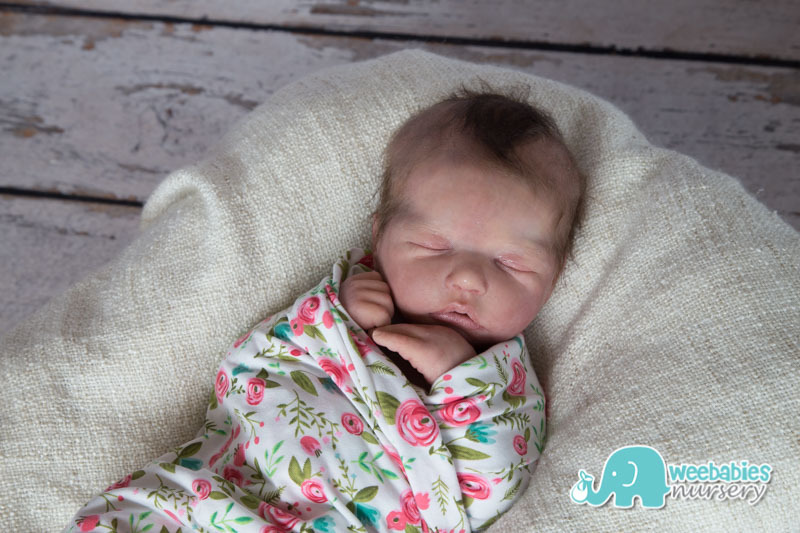 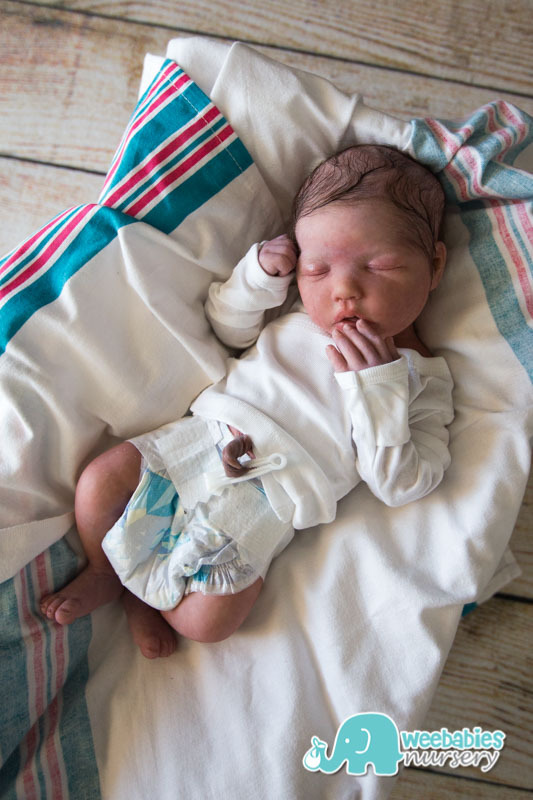 Sculpted, molded and poured by Jennie Lee, Weebabies Nursery is excited to introduce Ella. 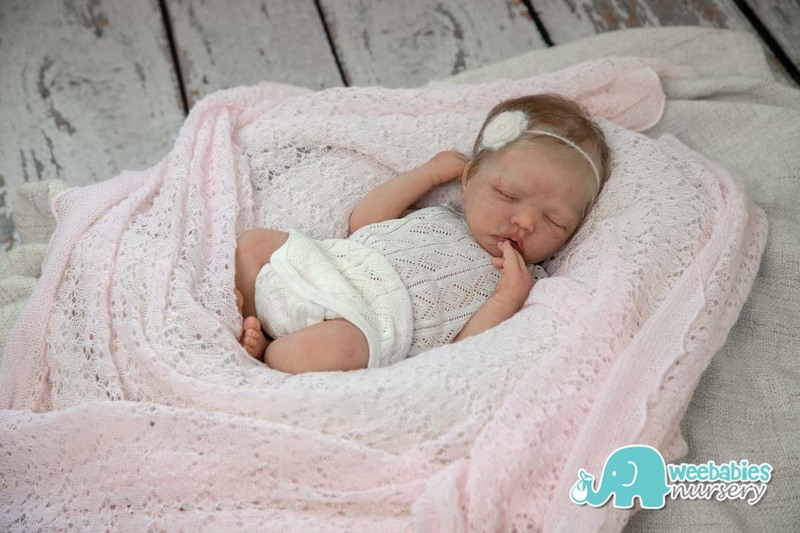 Baby Ella is a small newborn sized full body silicone doll that is super soft and floppy. 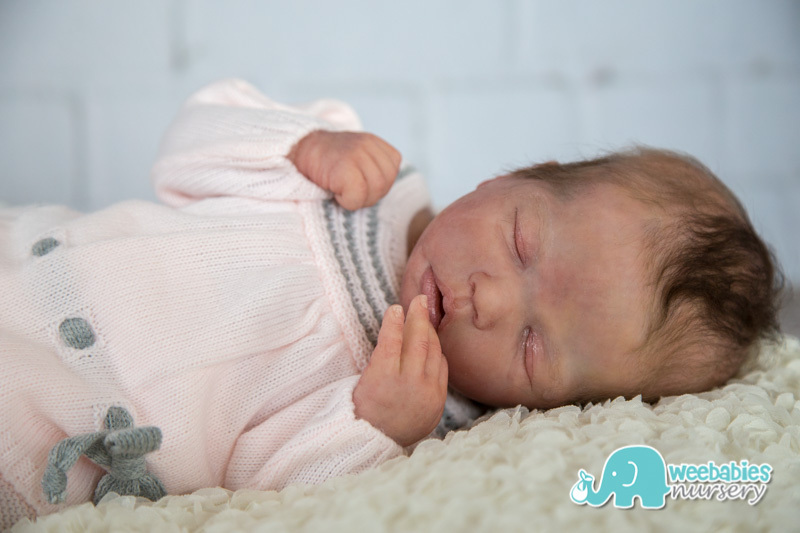 Ella features a flexible neck which allows her to turn side to side without a ball-joint (she is poured in one piece with no glue or seams whatsoever). 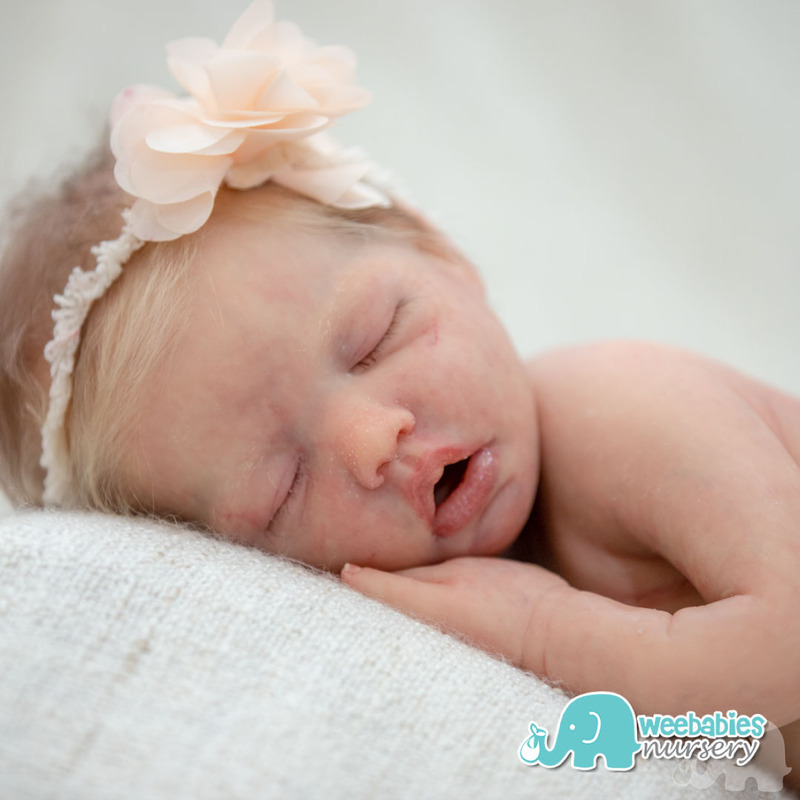 Painted with professional silicone painting system and permanently matted to be silky smooth and soft. 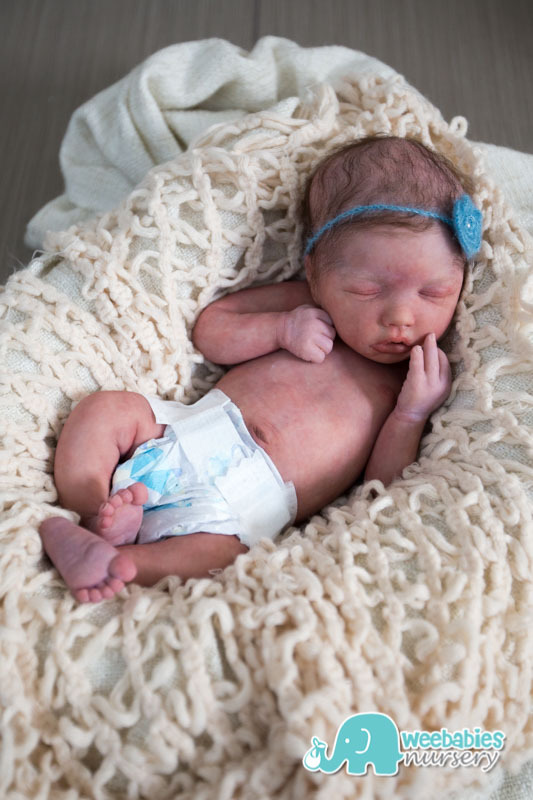 Skin feels like a real baby! 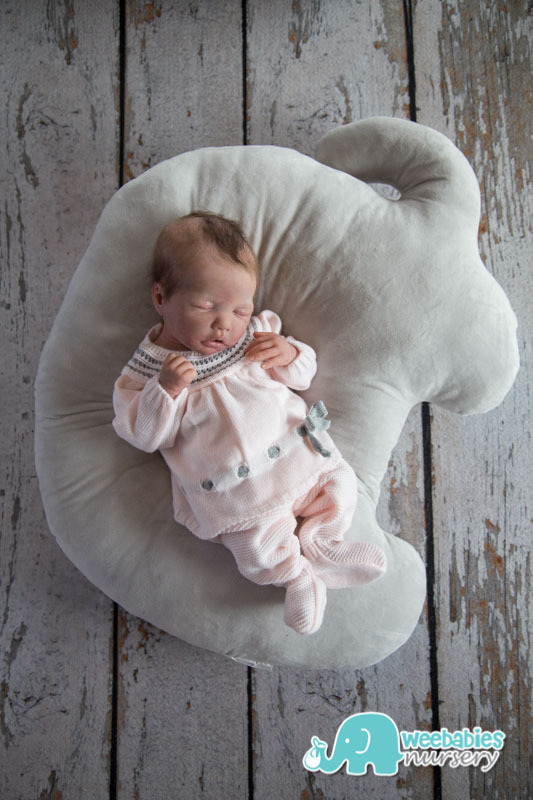 eBay Auction for Baby Ella Edition # 10 has ended.